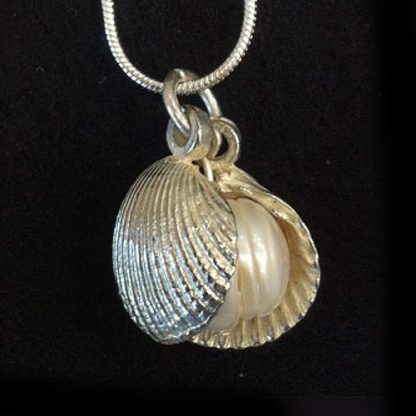 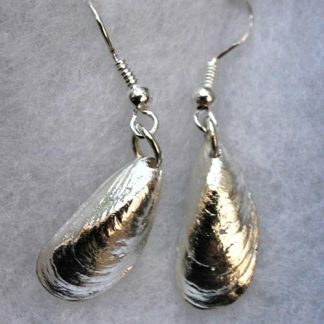 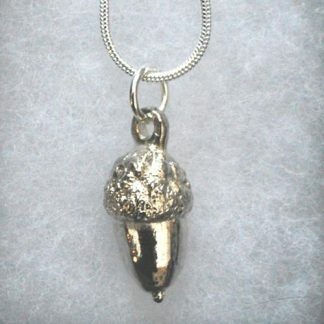 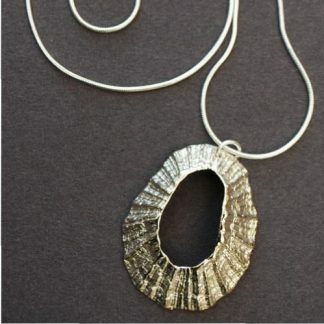 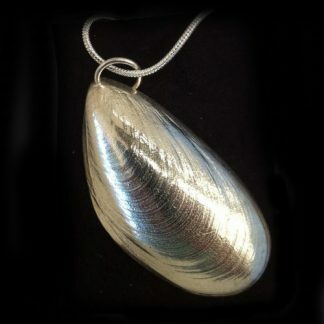 Two halves of a cockle shell cast in pewter and silver-plated. Hangs loose with freshwater pearl inside. 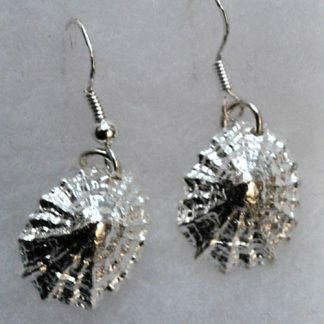 Each shell 1cm x 1cm. Supplied with 18 inch snake chain.